Disc Golf is coming to Florissant, MO!! Home »Latest Blog»Disc Golf is coming to Florissant, MO!! 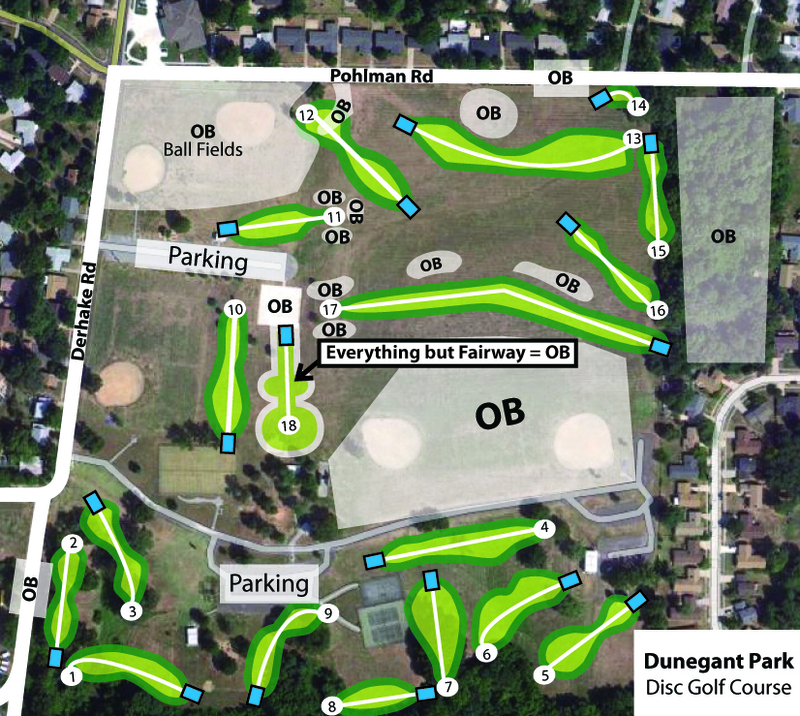 Gateway Disc Sports has been awarded the contract to design and install an 18 hole disc golf course at beautiful Dunegant Park in Florissant, MO. This course will have a nice mix of holes are easy enough for beginners yet challenging for the more experienced. The Front 9 has short to medium length holes and is a bit technical, winding around and even in a hilly wooded area. The Back 9 will be much longer and more of an “open links” style with a few par 4’s and a par 5 along a sloping hill. One or two holes on the back nine will be in small bamboo forest. Plans are for the course to be up and running by the middle of October! ← Previous Previous post: Deer Creek Disc Golf Complex – Coming Soon! Next → Next post: Join us at the 2012 St. Louis Amateur Championships on Saturday, September 8th! Just played the “new” back nine. It’s shorter, but you made great use of the space. When can we expect an updated map?